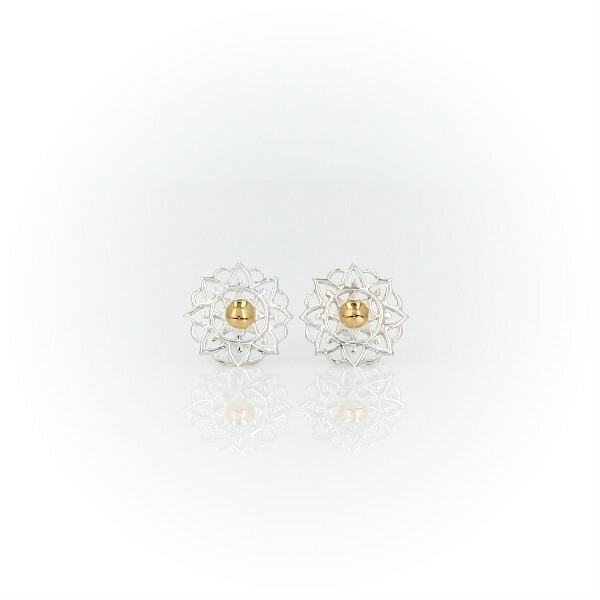 Uplifting, elegant and stylish, our sterling silver sunburst studs add a bright floral accent to your attire. Yellow gold vermeil center adds a touch of fresh contrasting color. Say it with flowers and secure it with push backing closure.